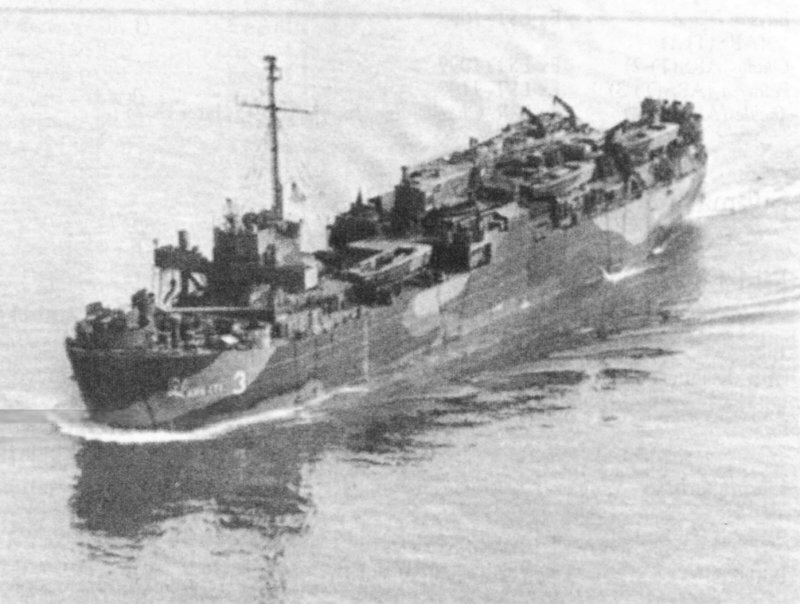 Laid down, 11 December 1944, as LST-1100 at Jeffersonville Bridge and Machine Co., Jeffersonville, IN. Decommissioned, 20 June 1947, at Orange, TX. Largest Boom Capacity 25 t.
four Diesel-drive 100Kw 120V/240V D.C.
177k Palmyra (ARST-3) being ferried down the Ohio and Mississippi Rivers from Jeffersonville, IN., to New Orleans, LA. 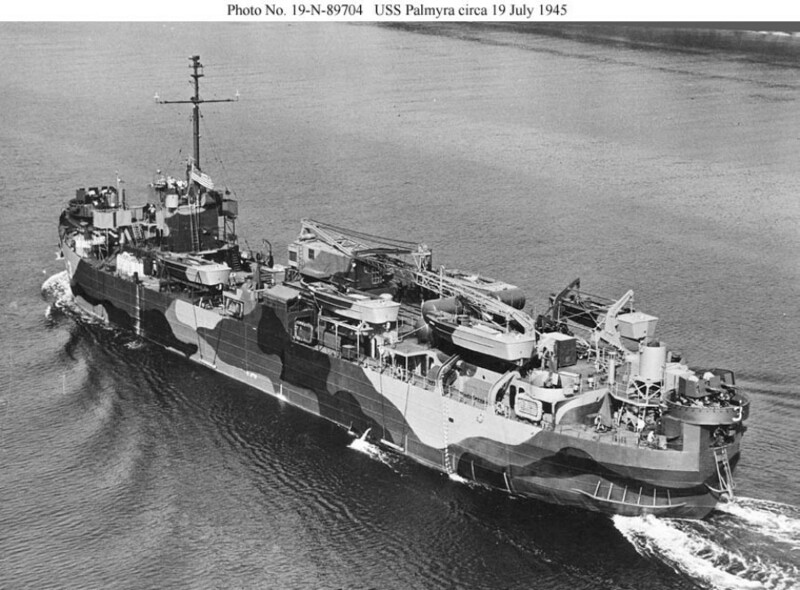 Palmyra arrived in New Orleans, 28 July 1945 for commissioning. Of the five boats visible, two are in davits and the other three are probably served by the large rotating crane, the long boom of which is clearly visible. 76k USS Palmyra (ARST-3) under way, date and location unknown.